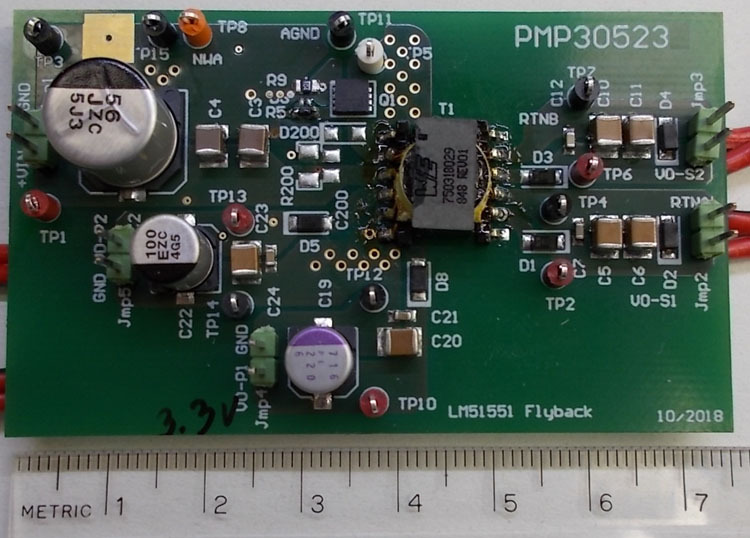 This reference design is a tiny 3-W auxiliary power supply reference design driving four outputs – two of them isolated to power some drivers. The wide input range is 6 V to 60 V: so 1:10 - here a discrete LDO is needed to expand BIAS voltage for controller LM51551. For lowest EMI: a SEPIC topology is used to ensure low reflected ripple and to avoid RF ringing at the switch node. The control loop is closed on the primary side to save additional cost of optoisolator. Dual feedback allows any weighted feedback in between 3.3-V / 11-V outputs.